It was almost a month ago when the first piece of significant news related to the rumored Nokia Lumia 928 appeared. 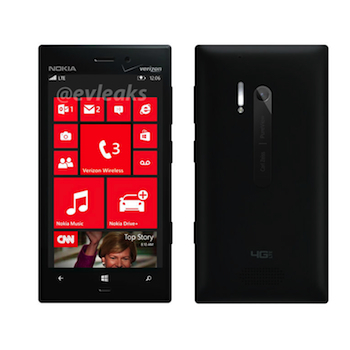 The device is said to be a variant of the best-selling Lumia 920, and be available only through Verizon. It’s not a massive stretch, as Verizon already hosts the Lumia 822, an exclusive version of the Lumia 820. A series of Lumia 928 pictures have now been leaked via the @evleaks Twitter account, the origin of many a sneaky snap recently, which shows a visually very similar device to the Lumia 920, but with Verizon branding and a suspiciously elongated flash unit next to the camera lens. This fits in with the previous report, where it was speculated the Lumia 928 would replace the dual-LED unit found on the 920 with a more desirable Xenon unit. 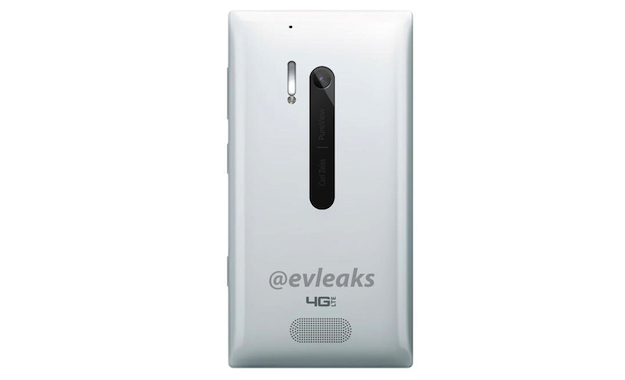 Subsequently, a white version of the phone has also appeared, giving us a better look at the design. The Verizon 4G LTE symbol is clear, as is the larger flash, but the new speaker grille is more obvious in this image. What isn’t clear is the material from which the Lumia 928 will be made. As most will know, polycarbonate is the material of choice for the Lumia 920, however the 928 – and the similarly rumored Nokia Catwalk – has been linked with a switch to aluminum. There’s a metallic look to the white 928, particularly the speaker grille, but it’s impossible to know for sure. Adding more fuel to the fire is the arrival of a selection of accessories for the Lumia 928. A third-part seller has put an in-car charger and a protective case for the phone up for sale through Amazon. As noted by PhoneArena, the seller has been active on the site for sometime and has a good reputation, so it would be a surprise if they were attempting to cash-in on the off-chance the Lumia 928 is real. Between the leaked pictures and early appearance of these accessories, it can’t be long before Nokia and Verizon make the Lumia 928 official. If, that is, it’s real; as at the moment all this noise surrounds an unofficial device.